Project 2010: 52 projects. One year to live for the love of it. Oodles of fun! 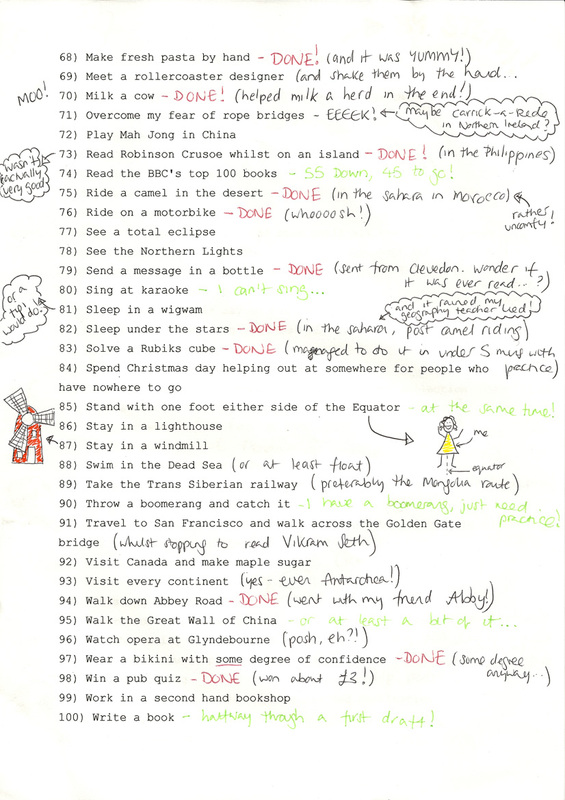 Get involved in the following Project 2010 challenges then send the outcomes to The Love Of It. 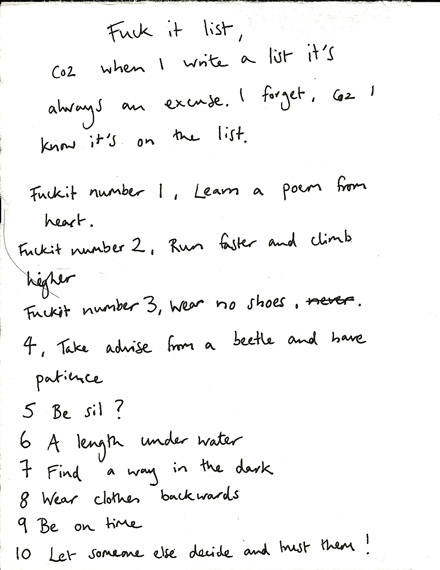 Put aside an hour this week to scribble down your ultimate ‘things to do before you die’ list. Where in the world do you want to go, what sights do you want to see, what books do you want to read and what adventures do you want to go on? Email your list to loveofit@googlemail.com or, better still, write it on a scrap of paper, beer mat or postcard, cross things out, change your mind and write them back in again, cover it in doodles and send it to: The Love of It Bucket List, Barfoot and Duggan, Stokes Croft Studios, Top Floor, 77-79 Stokes Croft, Bristol BS1 3RD. → There’s More to Life than Lists caption competition!